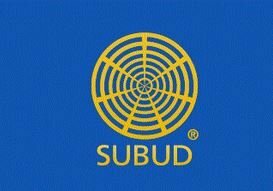 Brothers and sisters, we don’t feel it, or realize it, but Subud, or Susila Budhi Dharma, is more than half a century old. In reality, although in some places or countries there are few members, or few people opened or who do latihan, the truth is that, although we don’t realize it, Subud has made visible progress that can be felt by the outside world. For this reason, as Subud members we need to be conscious that we must strike a balance between the growth of our soul and our progress in the world. Because this latihan is a training of the soul that has no end and there is no level at which we can claim we have done enough latihan. This is because our spiritual growth passes through different processes, which in order, are: purification, the process of growth, and finally the preparation of a person’s self. Why is this? It’s because from the time of our birth and even before our birth, from childhood through adulthood, we are never free from the influences and ties that give us our human form. And we are unaware that many of these influences are not our own, and they cover up or close off the essence of God that is within our being. And these influences need to be cleaned by doing latihan, but it is not us, it is a power, it is God Himself Who cleans us. If we understand this, we realize that this spiritual path is a gift or revelation that cannot be looked for and cannot be bought. Because when it arrived, it was a gift from Almighty God that was given to Bapak, but Bapak had no ambition or desire to follow something that is not easy to find in this world. As I said just now, the stages of the latihan are purification, growth and preparation of our own selves. And they will proceed according to our situation and the extent of our capacity to reach our goals. Purification, of course, takes many forms, and I think most of you have experienced what it is and how we go through purification. As for the growth of the soul, we call it growth because the soul develops, just as we do in this world, in that it must have five senses to become a complete human soul. Then there is no separation between a human being and the One Who created them. As such, we are able to receive and feel what God gives to us, as a human being. Don’t let it happen that what God gives you is only received by the low forces which you use. Because, as we know, within our own essence or our own human life force, God equips us with forces below the human level which are there to help and assist us during our life in this world. But God is All Just. God does not permit these forces to control human beings unless a person gives these low forces that help us the chance to do so. And this is the danger for us if we don’t do latihan, because we only do latihan twice a week, but we spend more time and live more freely outside the latihan. This is a big problem for us human beings. This is why we need a basis to hold onto, because being humans, we are too easily influenced by the outside world or our own desires which form our character. Because our character is so close to us – it may have come from our parents or our surroundings – but if we don’t realize that our character can close off our spiritual growth, it is very difficult to set aside that character. So if our character is a burden to our inner self, the only solution is to ask God by doing latihan so that you will be clean of what does not belong to you. ( I say this) because some of you have done latihan for years, but it seems there is no change (in your character). This is because you are not aware that your character is not good, in that it blocks the growth of your soul. But once that person is aware of this and prays to God to be given what is truly their own, then there will be a change. This is what we experience during the purification of the soul. So the purification of the soul is not limited to removing what you have inherited, but it also purifies what you receive from your environment. The latihan is all encompassing. All encompassing means you take it with you into your life in the world. Then you can distinguish between what you can do and what you can’t do, and in this way, without realizing it, you are guided. You are guided by your own self, by your soul which is alive. This (purification) is the soul’s work. But because your soul is alive, no one else can help your soul, only you can, each of you individually. So the latihan is not something you can be forced to do, it must truly grow from your own awareness of the need for it and its benefit. So when you choose a path for your life, don’t choose something that strays too far from your true nature, because it is not God’s will for you as a human being to return to God in a form that is not human. As for preparation, it doesn’t mean that we prepare to die. But if possible, and this is the hope of all of us while we live here, we can prepare ourselves to find the way home. So when we go home, we have no difficulty, there is no obstacle, to reach our life in the next world. This is not a fiction. Bapak experienced all of it. This is why Bapak could explain everything about the latihan. If we cannot explain something, it means we have no experience of it. This is why Bapak always advised us to be diligent in the latihan and to follow Bapak’s guidelines, so that you too can witness that Subud is true and that this really is a gift from God bestowed on human beings through the latihan. The realm of the soul cannot be discussed, but spiritual experiences come in all shapes and forms, because they are the experiences of each one of us. And of course this depends on your own preparation, on how much of your being is ready to receive a gift or grace from God. You don’t need to search here and there to find this. You just need to be diligent in and follow your own self through the process I spoke of earlier. We just surrender to God. If you feel you need to use these forces, for example, in your work, it won’t be an obstacle, provided that you don’t mix the development of your soul with something that can block your soul. So you can use this in healing or sport and so on, or in your local traditions or customs. It is not an obstacle provided you know the limit between what you need for your work and what you need for your soul. And some of you say that even though you do this kind of work, you don’t feel that you have neglected your latihan because the latihan is alive when you do your work. This means your soul is alive. But when you apply that theory, it is just a profession which has become your skill. So we can say your work is guided by your latihan and it is not guided by the theories you practice. Even so, if you experience a conflict within you later on, you will have to choose which one you put first. Do you follow your profession, does that win, or do you follow this spiritual way? Take another example – we are bound by our religion from the time we are small, and when we practice our religion we feel guided, as though our movements don’t come from our mind, but grow from our soul which is alive. The question is, is this wrong, is this mixing? Of course not! This is because your religious rites have become one with your inner life. So when you face Almighty God, there is just one thing before you, the power of God. But in the reverse situation, if in your latihan you recite Islamic verses, for example, that don’t arise from inside you, your latihan stops or you stop making movements. This is an example. It’s clear from this that in this spiritual way there is no fixed theory or theory that can be applied. There’s none. I believe the same happens in religions other than Islam, that when you perform the rites or recite something, it feels that it is not just from your lips, but it truly comes from within, for example. And I believe that this latihan encompasses every kind of work, when you carry out your respective occupations. So when you deal with matters in this world, use your mind, of course, use your wisdom. Subud does not forbid us to use our minds because we need our minds while we live in this world. However whatever we achieve with our mind is limited to this world, meaning that we cannot take it with us later. It is a responsibility for us who have this latihan to give what we obtain through this gift to other people who are not in Subud. Don’t let it happen that after we are Subudwe later leave Subud. The world is being tested at the moment in many countries. And this is a test of people’s faith. Without a foundation they will easily fall, as they have no base to stand on.